Is this a Boots haul of things I potentially didn't need but bought anyway? Yes, yes it is. Hi, my name is Jess and I'm a shopaholic. I'm also a shopaholic who is now on a spending ban considering my impending trip to NYC in June, where I shall resume my shopaholic ways. I really need to get saving because two weeks in New York is going to be kind of pricey. I have my eye on some things in Victoria Secret, Bath and Body Works, Sephora and I'm thinking that maybe I might splurge on some UGGs over there?? The dollar is at the lowest it's ever been so we're thinking of changing some of our money now in case it drops even lower. It's dropped 6 cent since the first time I looked, two weeks ago. No joke but this always happens us, the pound dropped to it's lowest when we went to London three years ago so I'm thinking we're cursed. If you guys have any NYC dollaaa tips, lemme know, I'm used to Europe and our Euro so I'm clueless really. Anyway, onto the haul. This haul is pretty restrained actually, go me. 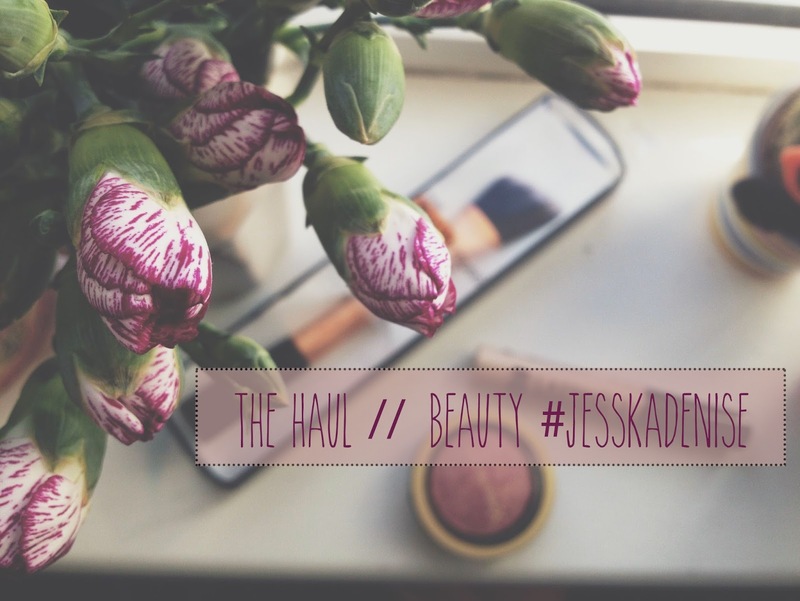 It doesn't show the few things I got in Primark (sports bra, plastic cup with straw thingy, PJs...) or the Aussie dry shampoo (review here) I bought but yeh, let's pretend they didn't happen and move onwards shall we? I picked up a Real Techniques foundation brush with no intentions of using it for foundation. I'm more of a hands for foundation person (I know, bold statement) because even though I wash my brushes quite thoroughly, I always worry about germs and spreading unnecessary bacteria across my face because acneee. I saw this brush and thought it would be perfect for setting up my contour, I have a small enough face and sometimes contour brushes can take over the side of my face and the bronzer just looks ridic but this is nice for creating a small line and then blending it out with my regular contouring brush. The Collection concealer is loved by everyone, it's perfect. This is my 6th or 7th tube of the stuff and other than my Benefit 'Erase Paste', I would consider it my 'holy grail' concealer. I've reviewed it before here. If you were wondering how I keep this fairly 'hygienic', I plop a bit onto the back of my hand and dab it onto my spots or redness. I remember reading it as a tip under a youtube video before and thought it was pretty clever. Last but not least, I bought the Max Factor Creme Puff blush because MakeUpMonster raved about them so much I needed to try one. I picked up the shade 'Seductive Pink' and OMG I am obsessed, I've never tried the MAC mineralize skin finishes but doesn't it look so much like them? I imagine they're pretty similiar? I have a whole post coming on this soon and if I wasn't on a spending ban, I'd be picking up a few more. To think, my next haul will be an NYC haul!! How exciting!! If you guys have some recommendations of things for me to buy/see over there, comment below!! I really want to try the Maxfactor blush, they look beautiful! Great haul, I love those blushes! Seductive Pink looks soooo gorgeous! jess i feel your pain i am a shopaholic too! what spending ban?!?! i would probably use that RT brush for contour too! it's the perfect size and shape for it! 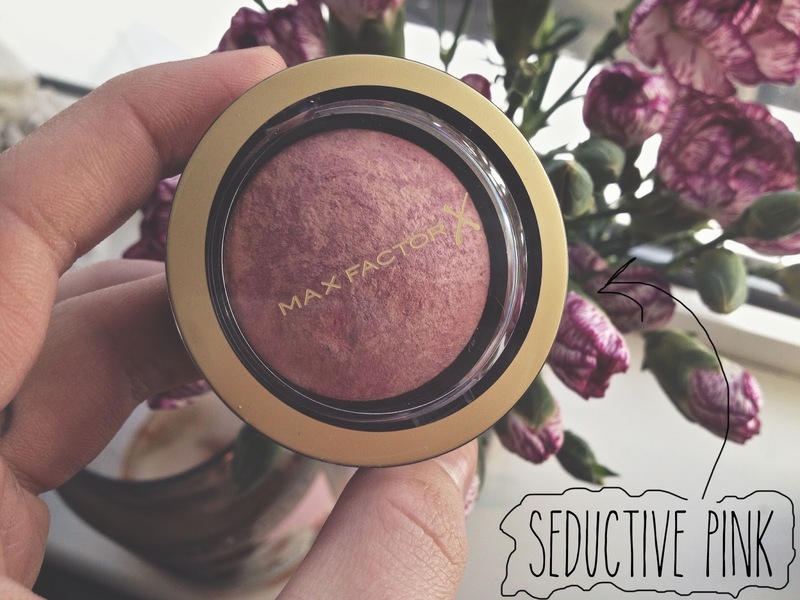 I really want to try the Max Factor blush, it looks gorgeous!